Bergmann glia cells are protoplasmic astrocytes in the cerebellar cortex. 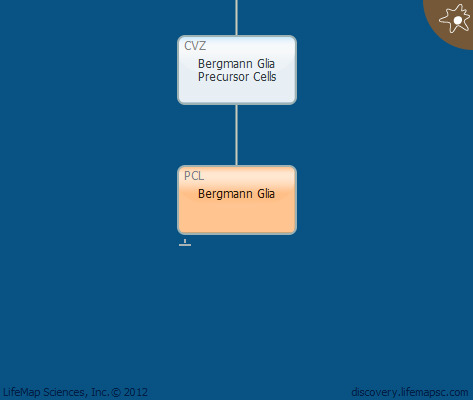 In the adult, cell bodies of Bergmann glia are located in the Purkinje cell layer and their Bergmann fibers traverse the molecular layer and terminate at the pail surface. They maintain a Purkinje cell-like structure and function. During development, Bergmann glia guide granule and Purkinje cell migration.